Legal record that can prevent you from being able to take advantage of employment, housing or other opportunities that depend on the results of a criminal background check. Given the magnitude of this type of legal situation, and what could potentially be at stake, it is imperative that if you are facing charges for aggravated battery, you immediately seek the legal representation of a highly qualified criminal attorney. You will need to understand what rights you have and how to keep them protected, starting right now. One of the most important steps you can take to begin with is not discussing your legal matter with anyone until you have secured and consulted your lawyer. It is important to remember that anything you say can and very likely will be used against you in the prosecution’s case. Having an experienced criminal defense attorney on your side is extremely important, at Top Criminal Defense Law Firms , our seasoned lawyers are extensively experienced and extremely well versed in cases involving battery charges. We possess a proven ability to win in these types of serious legal situations and are committed to zealously advocating your rights and interests throughout your case in and out of the courtroom. We believe there is a workable solution in every legal situation that we take on and will scrupulously examine every angle of the evidence and facts in order to proceed with your case in a way that benefits you the most. We will relentlessly pursue the best possible result to help protect your future freedom, livelihood and legal record. 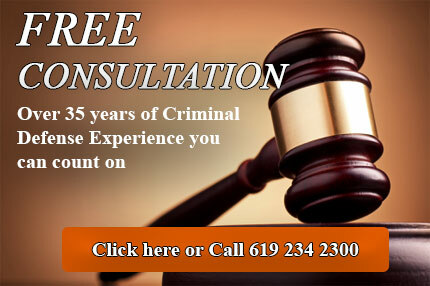 Contact our firm now to schedule a free, confidential consultation for your case!